Visit The Nut Shoppe's website! The Nut Shoppe has been in Goshen for over 30 years. 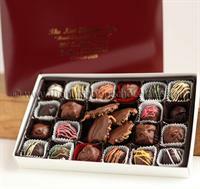 The Nut Shoppe specializes in hand dipped chocolates. 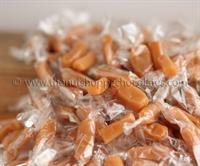 We make our own caramels, marshmallow, toffee, creams, truffles, turtles, and more. We also make our own gelato and gelato bars. Every month, The Nut Shoppe has a new chocolate item and a new truffle. The Truffle of the Month program has been embraced by our loyal customers, who are constantly inquiring what the next month's truffle and chocolate of the month will be! The Nut Shoppe is located at 204 South Main Street, Goshen. Located at the corner of Washington & Main St on the east side of Main.